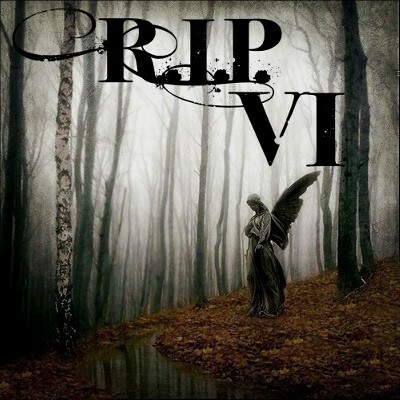 As part of R.I.P. VI, Stainless Steel Droppings is hosting several group reads, one of which is a Storm Front read. Even though I didn’t sign up for the group read, (I’m still figuring out how to get back into blogging after my little hiatus and I’m trying not to overload myself with challenges and reads), I read the book anyway. I don’t even know where to begin. 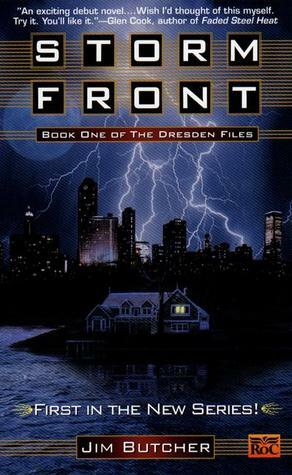 Storm Front is such a gripping read. I made the mistake of reading it during my lunch break a few times, and each time I did I dreaded one o’clock like you wouldn’t believe. Not because I didn’t want to go back to work, mind you, but because as soon as one o’clock hit I was at yet another “I can’t stop now!” moment. And even though the plot moves rapidly, it’s not at the expense of character development, which I really appreciate. Butcher does employ quite a few stock characters, however, but Harry Dresden himself escapes a lot of the wizard/hero/outcast stereotypes, making him a far more engaging character than he could have been. One of my favorite aspects of the novel is the magic-technology relationship. It seems like many magical books – particularly those featuring wizards – are set in worlds free of modern technology (Lord of the Rings, A Wizard of Earthsea, etc.). Even those that aren’t still manage to seem as though they are. Take Harry Potter, for example. It’s set in contemporary times, yet the wizards and witches seem to live in old-fashioned bubbles. They communicate using owls, for crying out loud. I could call, text, email, and Facebook about fifty people in the time it takes them to send one owl. (I still totally want one, though.) And unless I missed it, we’re never given an explanation for the strange lack of modern technology in the Hogwarts world. It’s explained in Storm Front, however. Harry Dresden brews potions by candlelight, drives a beat-up Beetle that’s constantly breaking down, and avoids computers and elevators like the plague because magic has a strange effect on anything manufactured after the forties. Butcher uses this as more than just a way to take advantage of the dark, brooding environment that accompanies the conventional wizard image; it’s an excuse to have Dresden’s car break down at the most inopportune moments and to mess with other characters by making their radios spaz or their computers crash. This magic-technology quirk is just one more reason to love this book. *I just learned that James Marsters narrates the Dresden audiobooks. Hmmm, I’m suddenly very motivated to start listening to them . . . Exciting news! (Well, for me, anyway.) Next month the library I work at is trying out a new book club for 5th-8th graders. The best part is that the very first book we’re reading is . . . 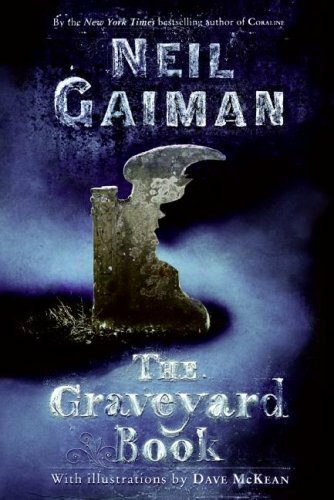 The Graveyard Book by Neil Gaiman! I can’t wait. The book club is in just two weeks. I still need to reread the book and come up with a game plan for the club. And this is where you come in! Any ideas for discussion questions and/or activities? I know there are a lot of Gaiman fans out there and I’m sure someone has a brilliant idea or two. (Yes, I am totally buttering you up.) What do you think we should chat about? In other news, I think I’m going to count The Graveyard Book as one of my RIP VI reads. 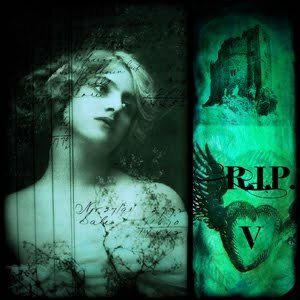 Hurray for RIP VI! And hurray for the weather actually feeling like fall! 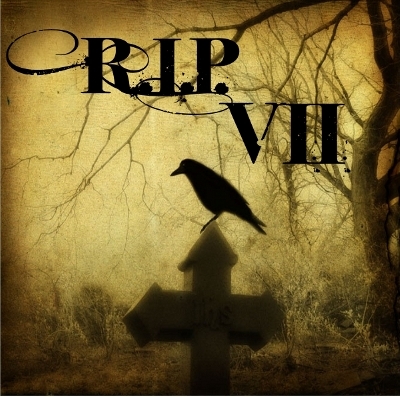 It’s that time of year again – time for the R.I.P. Challenge! This is the sixth year Carl of Stainless Steel Droppings has hosted this challenge (R.I.P. stands for Readers Imbibing Peril, by the way) and my second year participating in it. I absolutely love this challenge (confession: I cheered when I saw Carl’s post announcing the start of R.I.P. VI). It isn’t just the challenge itself that I love; I love the R.I.P. community. I have yet to see another challenge that is greeted with as much enthusiasm as this one. It’s fantastic. One of the nice things about the R.I.P. Challenge is that it encompasses a wide range of genres (mystery, suspense, thriller, dark fantasy, gothic, horror, supernatural) and there are multiple levels of participation (called “Perils”). 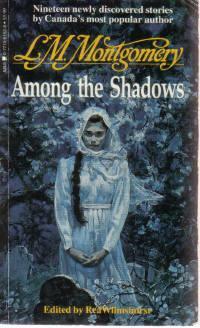 Last year I participated in the Short Story Peril and read a collection of short stories by L. M. Montgomery. I haven’t decided yet what I’m going to do this year. Either I’ll go the short story route again (Peril of the Short Story) or I’ll read two books (Peril the Second). Or I’ll do both. This is where you come in! Any suggestions on what I should read? I just found out about this fantastic Halloweeny reading challenge: RIP V (Readers Imbibing Peril), hosted by Stainless Steel Droppings. * This is the fifth year he’s hosted this challenge (fifth! man, do I feel like a newbie) and some of my favorite blog people have already signed up: Jenny, Nymeth, Andi and Trisha. Even though I really shouldn’t take on another reading project right now, (if anyone says the word “thesis” to me I will scream), I just can’t resist this one. How can I??? But I need suggestions! What should I read? I’m either going to do Peril the Third (read one book; see, look, I’m not getting in over my head!) or Short Story Peril. I may use this as an opportunity to reread A Night in the Lonesome October by Roger Zelazny which I rather love reading in, well, October. Or I could read some short stories. I use to be a short story maniac, and I just realized the other day that I kind of miss them. In other news, my work schedule recently changed. It’s a good change, but one that is taking some getting used to. I’m now working four tens, which means that instead of working longish hours five days a week, I now work really, really long hours four days a week. It’s totally worth it, though, because a) work is significantly less stressful now (and if you really want the list of reasons why I can tell you) and b) I get a day off in the middle of the week (YAY!). *This is one of the best blog titles I’ve ever seen.